Gorgeous custom built all brick home with a large 2 car garage situated on 11+ acres 5 cleared and 6 wooded. Walk into your main living floor to anopen concept kitchen with Corian countertops, stainless steel appliances and wet bar and Bruce hardwood floors. This space is ideal for entertaining or just spending quality time together with family and friends.Level 2 offers a spacious master bedroom with a full bath, his/her closets and vanities and a jetted tub and bay window. There are 3 additional bedrooms and another full bath on this level.Level 3 offers an open concept studio apartment and the uses are limitless. Bring your parents, rent it for supplemental income, create a guest retreat or create the ultimate man cave on the third level open studio apartment, complete with kitchenette and bathroom with jetted spa tub.Create your very own Farmette and hunt on your property for deer and wild turkey. 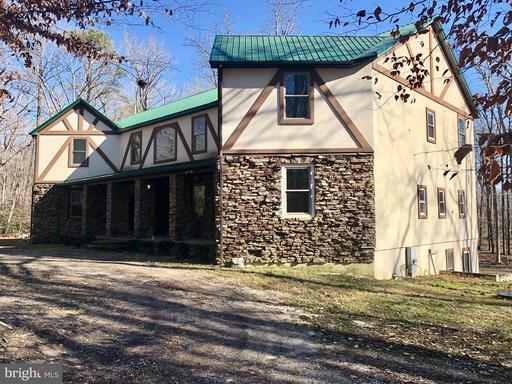 You have the opportunity to create your own shooting range or just explore this beautiful property with 5 wooded acres. Be the host of amazing parties with lots of parking and ideal space for event tent. This home is very well insulated and energy efficient. The main living level features propane gas and a pellet stove. There are 3 heating/cooling zones one on each floor, with propane heat on the main level, two staircases one in the main entrance and one off of the kitchen area.The options are limitless for the concrete block 40 X 44 Workshop, with 2 garage door bays, electric and a 1 1/2 diameter frost free spigot, could easily be converted into a stable for your horses. There is ample space to store cars, boats, RVs, etc.The best part is you are located just minutes from the thriving Town of Denton, which has a growing medical community UM Shore Regional Health and lots of shopping. 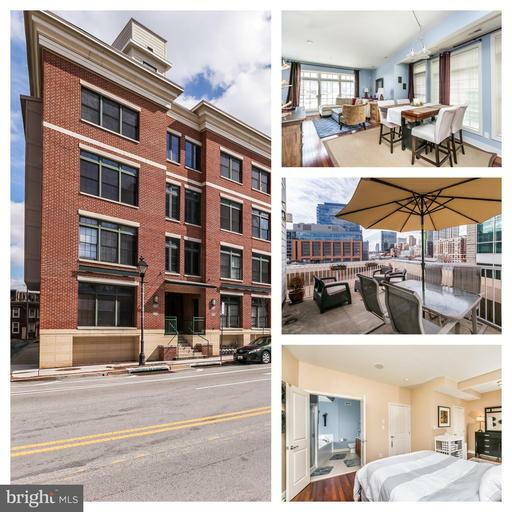 You are also located just 30 minutes from the Bay Bridge, which is the gateway to many large cities including; Washington, DC, Baltimore and Annapolis. 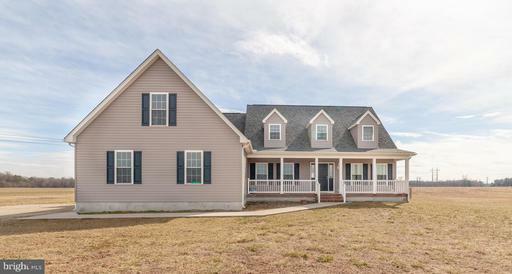 The Ridgely Airpark is also just a few miles away, so you could fly right in to your home away from home retreat.You MUST see this custom built home to appreciate all of the custom features and attention to detail. 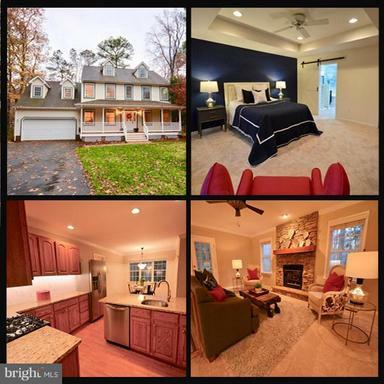 RARE FIND....5 bedrooms* 5 full baths with lots of upgrades* Full finished basement* Nice open floor plan on main floor with a junior suite and 1 additional bedroom. Upstairs features a master bedroom with master bath with jacuzzi tub and 2 additional bedrooms with a full bath. Exterior features include: In-ground pool* fire pit* deck* privacy fence. Easy commute to the Bay Bridge. Great in town location. 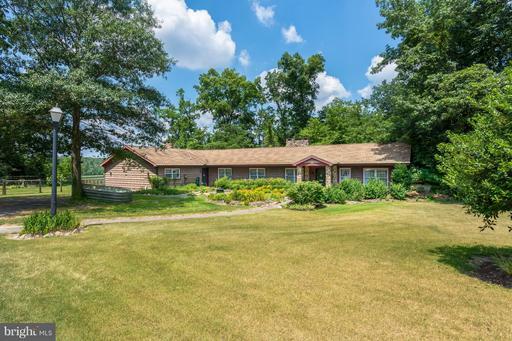 Exceptionally maintained quality built 2003 home nestled on thirty private acres. Custom concrete pool with pool shed, hot tub. Amenities include hardwood and ceramic tile flooring, cherry cabinets, soapstone and granite counters. 40 X 18 insulated attic, partially floored. Significant storage space or room for a future use. Working Horse Farm with 36 X 48 Conestoga Metal Barn, concrete flooring and 200 Amp Service. Three 12 X 12 matted stalls with expansion room for more. Climate controlled 12 X 24 tack room/office with two phone lines, internet, bamboo flooring over concrete. Exterior wash stall. Three grass pastures with two board wood fencing, 1 paddock is electrified. Two run-in sheds and four frost free spigots. Three Bay 30 X 64 Garage/Shop Shirk Metal Building, 100 Amp Service. Concrete floor, completely insulated walls and ceiling. Three overhead doors. #1 10 h X 10 w with electric garage opener. #2 10 h X 12 w. #3 10 h X 10 w. Progressive drainage system to move water. Owner contracted custom concrete 16 x 32 salt water pool. Swim jets. Full width steps and full length bench. 16 X 16 pool shed with 12 X 16 overhang for entertaining and barbecues. Walk to the public marina from your own private Hunters Paradise. Seasonal pond-deer, turkey, geese abound! Distance to Easton 13 mi, Annapolis 53, Baltimore 81, Philadelphia 125. This Captivating "Caroline Cottage" is irresistible! Picturesque setting on double lot w/ plenty of parking* A clean neutral palette enhances this 4 bed/2.5 bath Southern Living coastal cottage boasting striking water views year round and magnificent Sunrises! Two large front verandas allow you to capture the views year round! Hardwood Flooring throughout*New white kitchen cabinetry w/ quartz countertops,stainless appliances recessed lighting opens to spacious sunroom addition filled with light! All baths redone!Upstairs, the covered porch once again embraces stunning views for homeowners or guests! Gardeners will cherish the original Potting shed and colorful perennials and trees! All Major Systems replaced including roof, hvac,electric,windows more! Note: back sunroom 19.4 x 11.7 is not included in sq footage figure Deep Crawl space for additional storage! 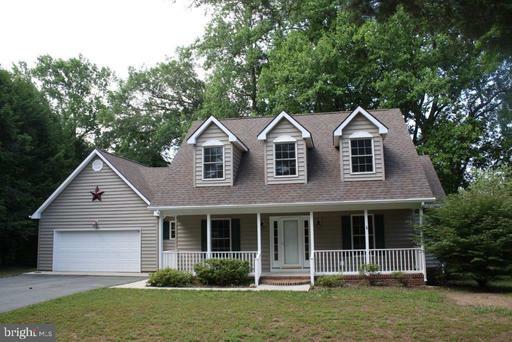 Cape Cod style home on Mill Creek just off the Choptank River. Great room, sunroom, dining room with wood floors, kitchen with wood floors, granite countertops and new stainless appliances, 1st floor master suite. 50 dock, 2-car garage and garden shed. Minutes from downtown Denton. This house is a true Architectural Digest dream just steps from The Avenue! Thoughtful and creative design layout. Open floor plan. Hardwood floors throughout. Spacious, gourmet kitchen with top of the line stainless steel appliances and open shelving. Full house water-filtration system. Gorgeous ceramic tile bathrooms. 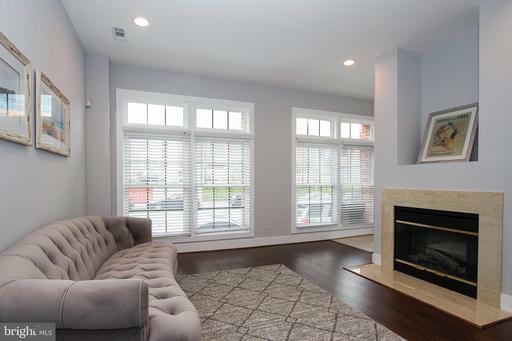 Light-filled space with brand new, oversized windows throughout and custom blinds. Spacious bedrooms with walk-in closet and built-in shelving. Fully fenced-in yard with parking for three cars. Convenient location might not require you having a vehicle. In that case, you could rent each spot for approx. $125/mo. Talk about added value! Basement is prepped to be finished, is over 8 high, and runs the entire length of house, and would give you an additional 800 sq ft of living space. Must see in person! 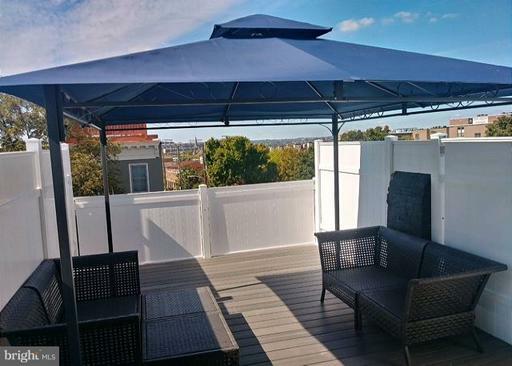 Enjoy the view of Baltimore from the brand new rooftop deck.This neighborhood is known for its excellent view of the Inner Harbor and Baltimore skyline, as well as the postcard-perfect friendly streets. Brick-front houses, cobblestone sidewalks and quaint storefronts display a diverse range of goods and services. Locally owned shops, restaurants and Cross Street Market, one of Baltimores cool public markets, make this one of Baltimore~s most popular and welcoming areas. People are always out and about in Federal Hill - get out there with them. ****WOW!!! 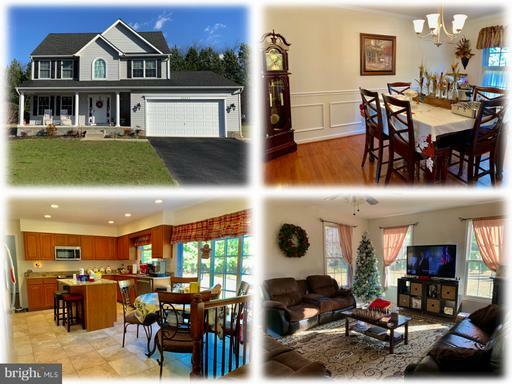 **** Check out the new price for this single family home that feeds Darnestown Elementary, Lakelands Park Middle and Northwest High School. 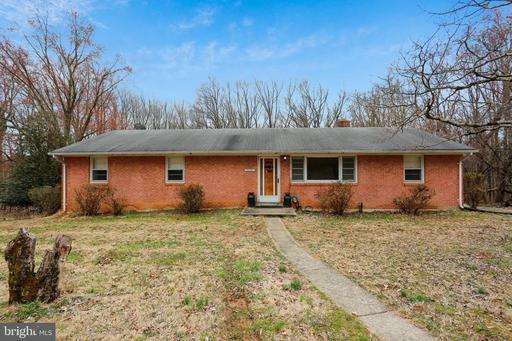 Main level: 3 bedrooms, 2 full baths and a hidden gem - family room with wood burning fireplace. Hardwood floors under carpet. Table space kitchen as well as separate dining area next to the living room. The basement has the 4th bedroom with wood floors and the 3rd full bath. 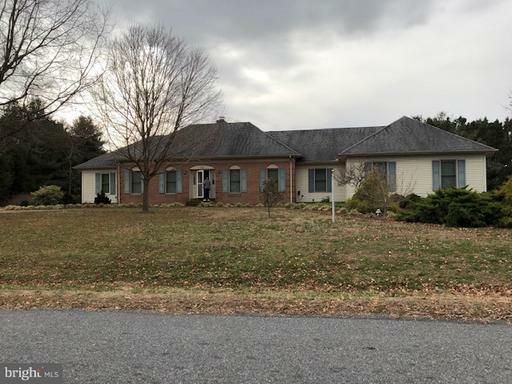 This home has been the central family gathering place for many years and just needs you to build upon the love and memories that took place here. Hunters!!! 65 Acres. Just in time for turkey season. Accessible from Cool Spring Road and Marvel Road. Three ponds. Portable generator used for water pump that floods some of the ponds. A couple of good deer stands included. Mowed trails. Great for deer, turkey, upland game, and waterfowl ducks and Canadian Geese. Three parcels 181, 192 and 256. Has a big metal pole building 33 x 60 for storage or to camp out in. Had a perc test, at one time, on Parcel 256, Lots 1-3, on Marvel Road. Had an old house on Parcel 192, which is 17796 Marvel Road, with a well and septic but the house was torn down. Status of that well and septic are unknown. Outstanding hunting property! Easy to get to, not far from the major routes. 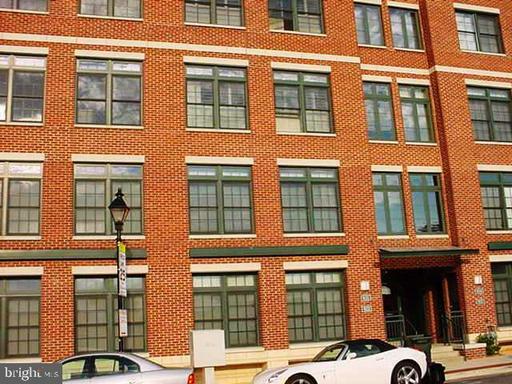 Located right between Historic Fells Point, and Baltimore~s two newest neighborhoods, Harbor East and Harbor Point, this 2 story stacked, end unit condo provides modern convenience inside and out. Updated kitchen with granite counters, stainless steel appliances on the open concept main level, complete with a half bath and room for both a living room and dining room. Because it~s an end unit, light pours in through the extra windows and helps highlight the hardwood floors throughout. The large master suite on the upper level has a walk in closet and en-suite bathroom big enough for a separate tub and shower as well as a double vanity. The second bedroom also has an en-suite bathroom and plenty of space for a queen size bed. Best of all, no need to compromise on outdoor space, this condo has a large private rooftop deck that has city and water views. Deeded PARKING conveys and is located just outside the entrance to the unit with an elevator that will bring you up from street level to the unit entrance level. 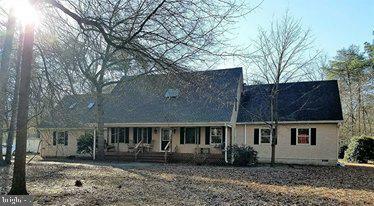 Denton - Almost new Colonial on 9.91 acres, with 3,064 square feet of living space. This home features a first floor master. Large bedrooms and open floor plan. A huge bonus room that is unfinished if you need even more living space. Call today for a showing appointment. 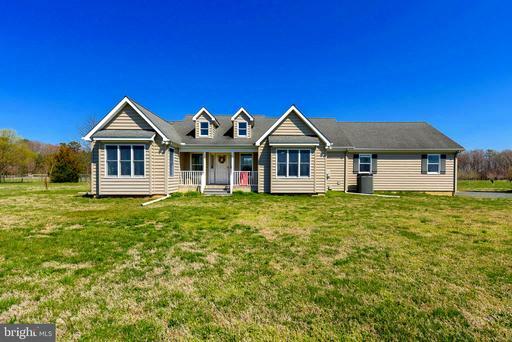 Spacious home surrounded by close to 4 acres of land is only one of many amazing features! This home boasts 5 bedrooms with a Master on the first floor, gourmet kitchen with exotic granite counter tops, pellet stove, 6 Skylights, lots of closet space/knee high wall access. New carpet and hardwood flooring as well as recently renovated bathrooms. Built in desk, shelves and cabinets are a bonus feature in the upstairs bedroom. Outdoor area has a front porch, back deck, 2 storage sheds and pond w/ waterfall! Private boat ramp and quiet neighborhood makes this home a standout must see!! 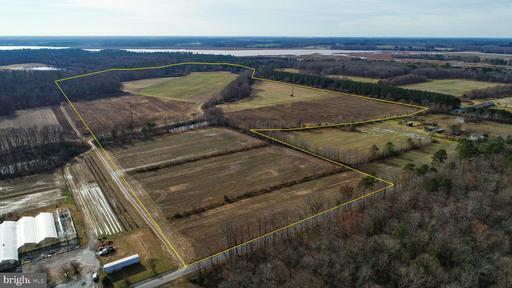 Prime waterfront farmland totaling +/- 89 acres including +/- 71 tillable acres and +/- 18 wooded acres on Hog Island Road in Preston, MD. Habitat for waterfowl, deer, turkey. Strong hunting lease income. No conservation restrictions. Good potential to build a home or lodge. Beauty in its purest form out in the private oasis of this property. Take a turn down a private dirt road to arrive at this beautifully built Tudor style home on the Choptank River. As you pull up you will notice the detail that went into building this beautiful home. Complete with all of the upgrades you could ever want! Walk through the front door to be taken back by the large full wall of windows perfectly placed to look onto the water. Enjoy a cup of coffee on your back deck while herds of deer prance around your back yard. With this home comes plenty of space for everyone. Entertain all of your guests comfortably with bedrooms conveniently placed around the house for pure comfort! 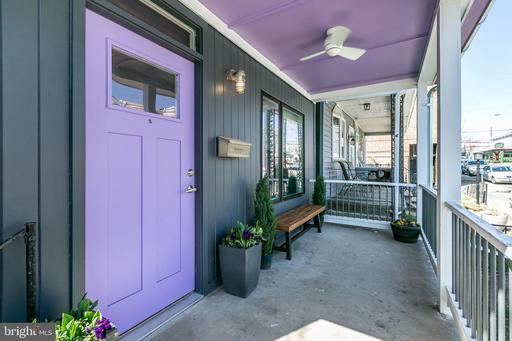 Not to mention the completely upgraded Master Bedroom on the first floor that includes a sitting room, sauna, whirlpool tub, walk in shower, double vanity and a door that leads to your back deck! Live a life of ease with TWO laundry rooms, one upstairs and one down AND a full basement with outdoor access connected to your two car garage along with a 30X50 pole barn for extra storage! Schedule your tour today to take in the beauty that this waterfront home can bring! 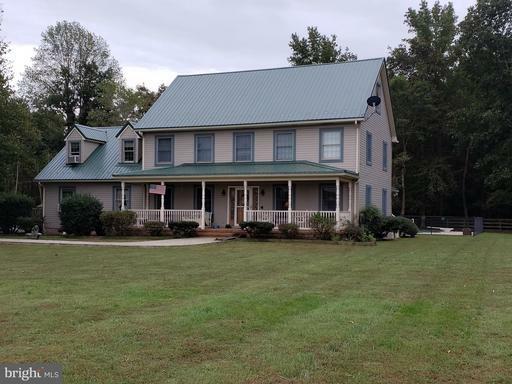 +- 20 Acre Farmette in Caroline County with 4 BR, 2 BA original homestead circa 1870 - not in the historic registry plus a large renovation circa 1960. Two outbuildings - 3 Car detached garage and a retired in use poultry house. 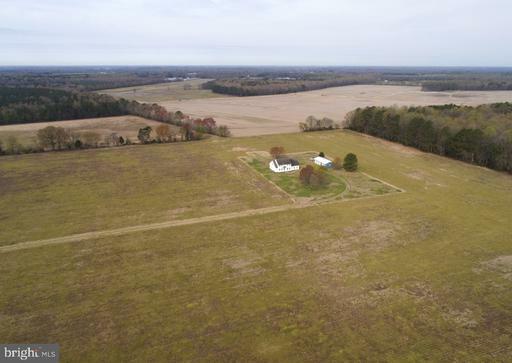 +- 19 acres of tillable land not in Ag Preserve and not leased out in 2019. Two wells on site; private septic and drain field. Property has two large deciduous trees to anchor the homestead. One lease income stream non ag use in a portion of the chicken house. 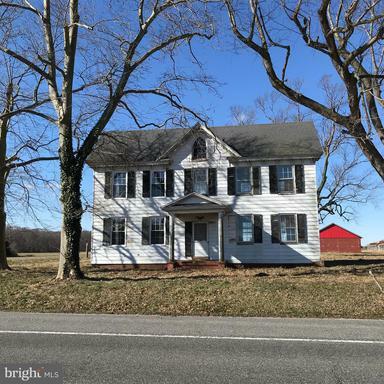 Property is ideally located between Denton and Easton, and a highway-type drive to the Chesapeake Bay Bridge and Annapolis. Potential future use include farmstead / homestead as it is now, and EQUINE, Grass Fed Beef Pasture, Greenhouses, Nursery, Tree Farm, specialty crops, vineyard, Hops Production, etc. This 4+ acre property is a must see. With 3BR 2 BA. Has an additional Loft/living space upstairs. Wood burning fireplace to keep warm on these cold nights. Nice size kitchen that has access to a deck that is great to relax or entertain! Easy quick commute to Delaware. Close to town amenities and rt 404. Waterfront rancher in the Williston Heights subdivision just South of Denton. Located on Mill creek which is part of the Choptank River. 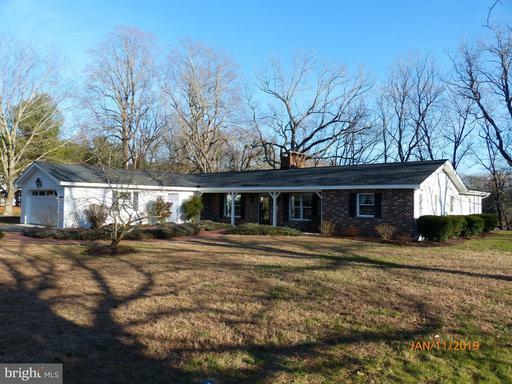 Large rancher with 36 inch doors , oak floors , fireplace with woodstove insert. Recent roof . Large 32x24 separate garage w/electric perfect for your boat, camper or other vehicles. Mill Creek is tidal and is navigatable at high tide for fishing, kayaking etc. Landscaped yard. A quiet subdivision in the Village of Williston. 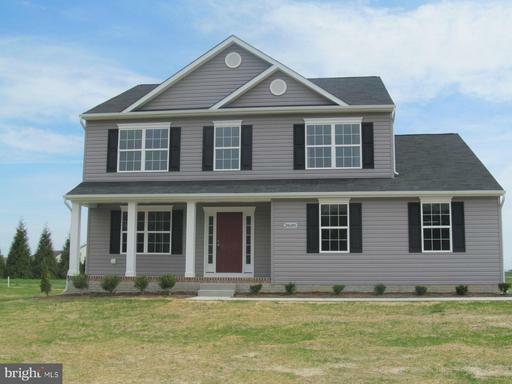 Beautiful home located in the quaint Camryns Run community. Eat in kitchen with granite counter tops and island, stainless steel appliances. Kitchen is open to a large family room, great for entertaining. Separate formal dining room for family gatherings and separate living room. Master bedroom features a large master bath with a large double vanity and separate shower and plenty of storage space. This property has easy access to 301 and about 30 minutes to the Bay Bridge. WOW!! 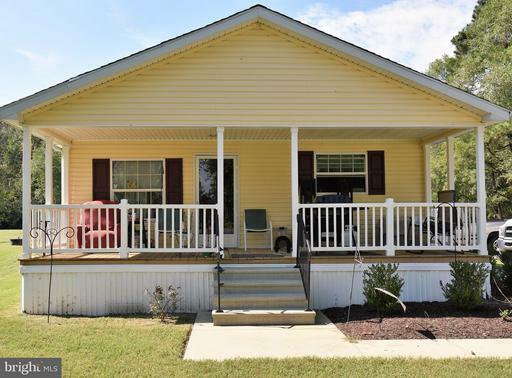 Character and charm throughout this 4 bedroom, 2.5 baths. Kitchen and baths updated MODEL HOME feel! Warm stone fire place in family-room and large screened in porch overlooking private tree lined yard. Only 15 min to EASTON close to everything Denton shops, restaurants and schools, Dont wait this one wont be here long! Country Life at its Finest with this incredible "Farmette" Horses, cows, Goats-Animal Lovers Dream. 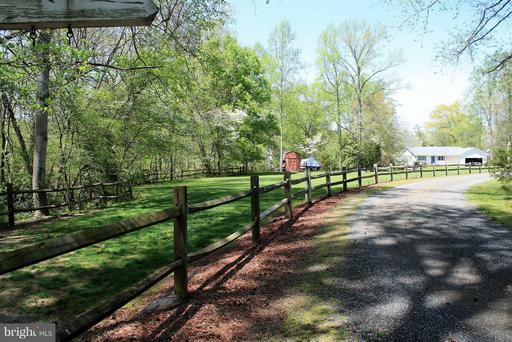 18+ acres totally fenced pastures. 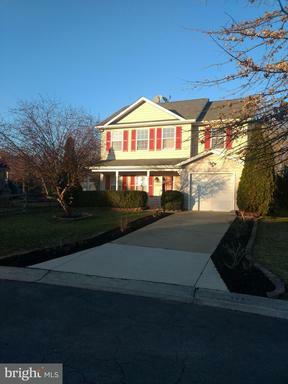 Pictures do not give this lovely home justice, House includes 6 BR 3BA, Large laundry with cabinets and counter space, New appliances in large kitchen with island that overlooks a spacious Living room, Formal Dining room. A Sunroom with heat/ac that over looks the inground pool that is fenced in. Attached Garage has been turned into an office space but could be used to your liking. Closets Galore throughout entire house. If its Outdoor life you Enjoy, this is it the scenery is amazing. 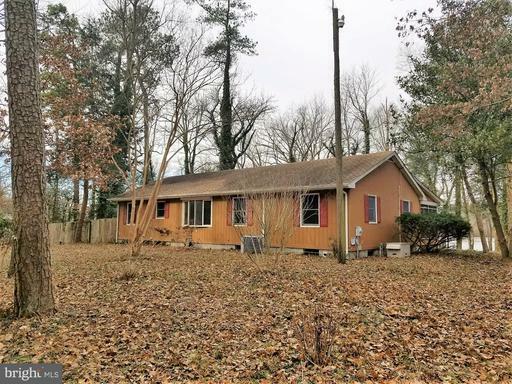 3 car detached garage along with Outdoor buildings and shops with electric and heat in most, run ins/shelter sheds on both ends of the property. Come Check this amazing property out for yourself. 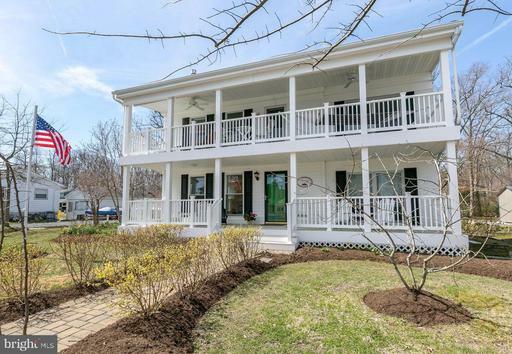 Terrific Choptank Waterfront home in Passapae Landing. 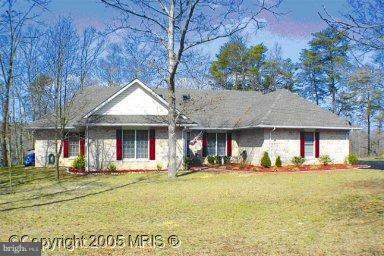 Spacious brick Cape Cod w/ Contemporary features. Family Room with vaulted ceiling, fireplace wet-bar. 133 of waterfront w/ private waterfront fishing platform w/ electric, 2-3 MLW. First floor master suite office plus 2 Upper BRs all with water views. Over-sized 2 car garage w/ workshop lots of storage above. Deck concrete patio. SELLERS ARE VERY MOTIVATED! Secluded Get- A -Way on the CHOPTANK RIVER. Located in the center of the Delmarva Peninsula. Turkeys,Turtles,Deer and more visit this well maintained rancher on 287 of water frontage and 1.35 acres.This 3 bedroom 2 1/2 bath home features fireplace, Geo-thermal HVAC, all stainless steel appliances,partially finished basement and excellent water views. Dock w/electric. 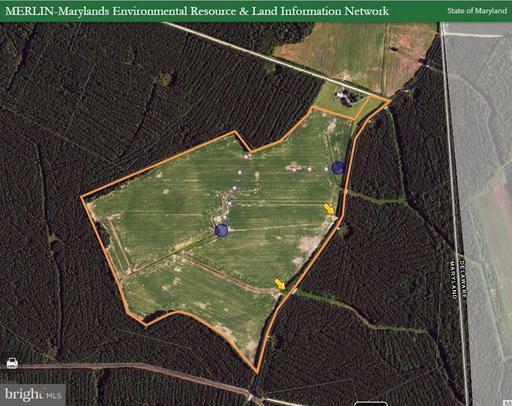 Prime farmland totaling +/- 91.6 acres including +/- 76 tillable acres and +/- 9 wooded acres. 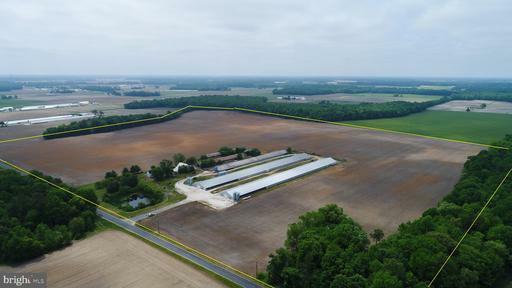 The remaining acreage has three active poultry houses leased to a tenant farmer growing for Amick. The farm may transfer without any required updates as long as the tenant farmer remains. Two poultry houses are 60x560 built in 2008 and one poultry house is 44x400 built 20+ years ago. Additional improvements include 1,500 sqft residence, pole barn, and manure shed. 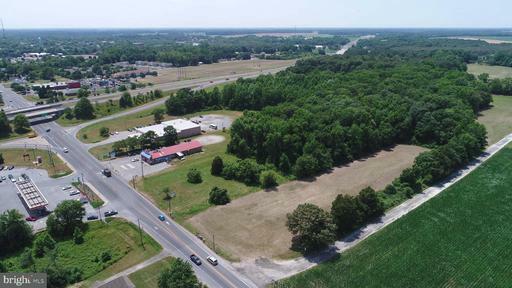 Approximately 16.09 acres located off of US Route 404 on Greensboro Road Route 313 in Denton, Maryland. The property is currently zoned Regional Highway Commercial which allows for a variety of uses-- retail and office establishments, commercial services, etc. 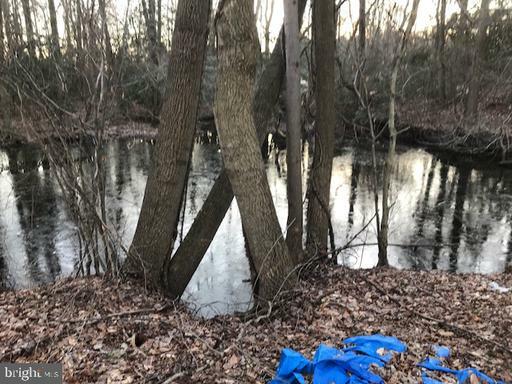 This lot has prime road frontage and great visibility with town water/sewer available. Seller is willing to subdivide. This beautiful "Cypress Model" is nearing completion! 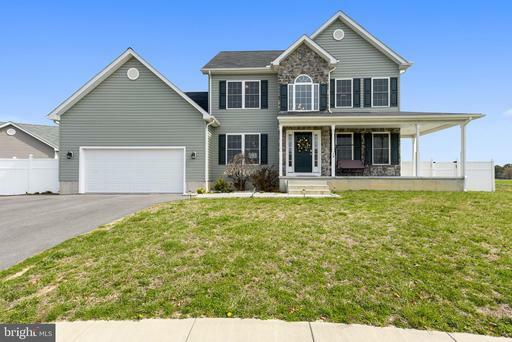 All lots are 1-2+ acres in lovely Ashworth community, this 4br/2.5 ba home features a full front porch, HW flooring, maple cabinetry, granite countertops and ss appliances in kitchen, gas fireplace,2 car attached garage, Backs to woods and small stream! Nearly 2500 sq. ft. of living space! Other lots and models available to choose from. Call for details. Closeout Community Special... Last lot of a 12 lot community available. 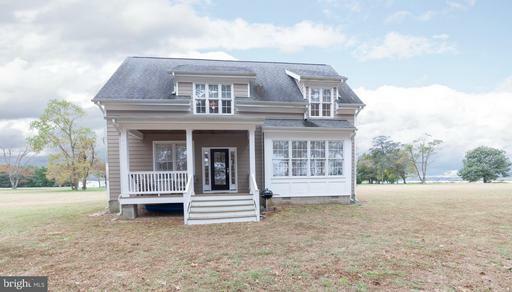 Pick the floor plan you want to have custom built on this 2+ acre lot only minutes to Tuckahoe State Park. Location is great for western shore or Delaware commuters. 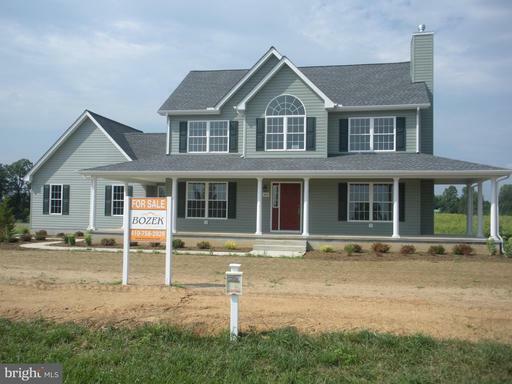 House/lot packages in Briscoe Farm starting at $350,000. Call for details. Dont wait, last lot wont last long in this spring selling season!